I’m going to come clean right off the bat here—I don’t like spiders. My family can tell many stories of my antics growing up on the farm, where there were plenty of spiders, and the lengths I went to just to avoid them. Even as an adult, I don’t like them. But the Good Lord created them for a purpose, so I just steer clear of them. Then last weekend I noticed this “lovely” in amongst my fading zinnias. 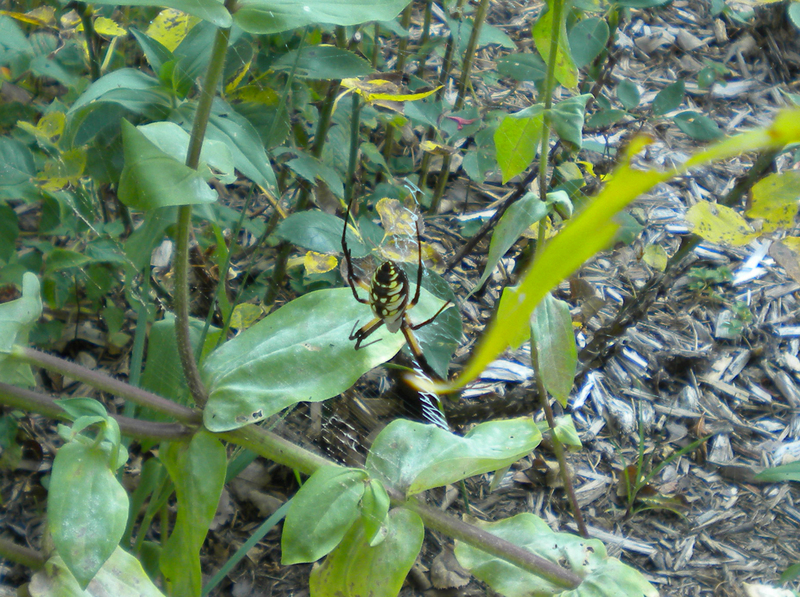 My husband says it is a golden orb spider. She is a weaver of a different sort. She (he?) is really lovely in her own way. She must be 2” to 2.5” long and her web extends at least a couple feet from stem to stem. But at the same time, she makes me shudder. I have never seen a spider so big. 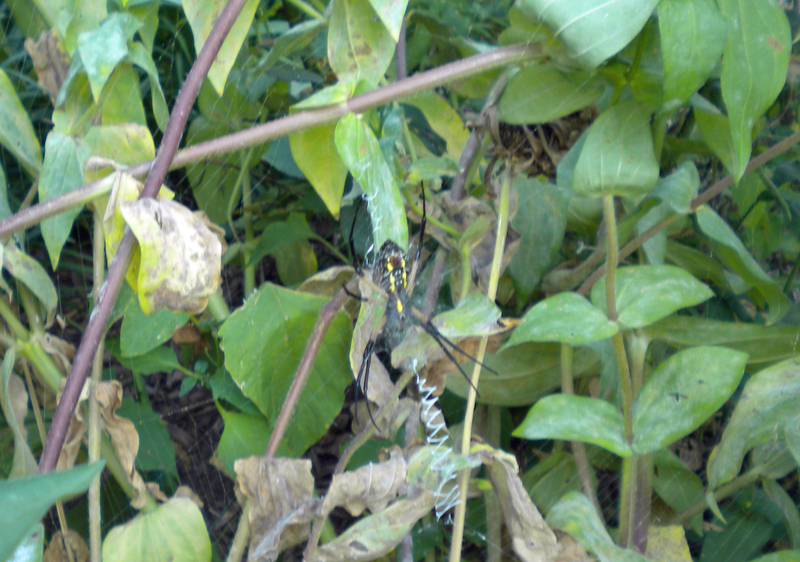 Fall is on the way here in mid-Missouri and spiders have grown large over the summer months. Needless to say, the zinnias will have to fend for themselves until after a frost. HA! You’re a weaver, a daughter of Arachne, and you don’t like arachnids? I did a post a couple of months ago about this and had my own photo of one of those big spiders–it was here a few years ago and I’ve never seen it since. I had to be honest, but there you have it. I do look forward to the first frost–fall is my favorite season–for reasons other than the end of the bug season, but around here that will probably not happen for another 6 weeks.